The Saints boss on the efforts of his young winger. Watch our 90-second highlights package from Turf Moor. Watch the best of the action from Turf Moor. View the best of the images from Turf Moor. The manager reacts to the 1-1 draw at Burnley. Goalkeeper believes last-gasp leveller prove Saints never give up. Watch the keeper reflect on a point at Turf Moor. Watch the manager reflect on the 1-1 draw at Turf Moor. Read our report from the Premier League meeting at Turf Moor. 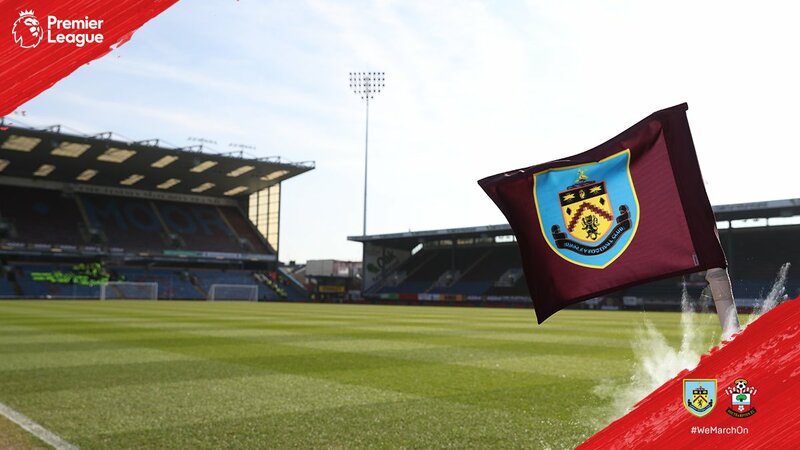 Get set for the showdown with the Clarets at Turf Moor. Another game, another chance to test your knowledge. Manager expecting even encounter at Burnley. Watch the manager preview the visit to Turf Moor. All the information you need ahead of the trip to Burnley. Sean Dyche looks ahead to the clash with Saints at Turf Moor. The best photos from Thursday's training at St Mary's. Midfielder back in training ahead of trip to Turf Moor. Get the lowdown on the Clarets from journalist Tyrone Marshall. Saints boss Mauricio Pellegrino looks ahead to Saturday's Burnley trip. The key statistics ahead of Saints' trip to Turf Moor. Tickets on sale to eligible season ticket holders for Burnley clash. COMING AWAY TO BURNLEY, WE KNEW IT WAS GOING TO BE A TOUGH GAME, but IT'S A MASSIVE POINT. THE BOYS STILL THINK WE COULD'VE DONE BETTER OUT THERE - WE KNOW WE CAN - BUT THERE ARE A LOT OF POSITIVES TO TAKE INTO THE SToKE GAME NEXT WEEK. 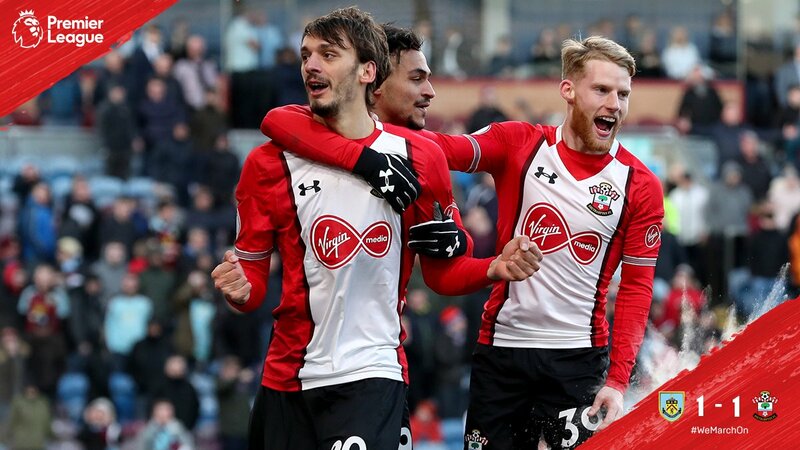 Southampton climbed out of the Premier League’s bottom three, as Manolo Gabbiadini's 90th-minute goal earned them a potentially valuable point at Turf Moor. Read our full match report here! Sims's deep cross is nodded back across goal by Carrillo and buried on the turn by Gabbiadini! What a finish! Burnley are aggrieved, saying the referee blocked one of their players in the build-up. That could be a talking point on Match of the Day, but most importantly Saints are level! It's route one from Burnley, as Pope's long kick goes all the way through to Barnes at the other end, who rifles the bouncing ball goalwards but it's well over the crossbar. Third and final change for Saints, as Gabbiadini joins Carrillo as a supplementary striker. Time is running out for Saints, but there's still ten minutes left to find an equaliser. COME ON! More positive play from Sims, who this time brings the ball under control and spins to shoot all in one movement, but his attempt is always rising from 20 yards and sails over. It's another attacking change for Saints, as Boufal enters the fray. So close! Sims darts into a shooting position on his right foot and sends a beautiful curling effort towards the top corner, but goalkeeper Pope somehow gets fingertips to the ball and touches it on to the outside of the post. Agonising. With Ward-Prowse off the pitch, Redmond inherits corner-taking duties and picks out Carrillo. The ball just appears fractionally too high for the striker, who struggles to generate the necessary power to really trouble the keeper. Lennon looks to race on to a ball over the top. McCarthy rushes out and appears to handle the ball outside the penalty area, but the referee is on his side and the keeper gets away with it, much to the annoyance of the home supporters. It's an immediate response from Mauricio Pellegrino as one Academy graduate replaces another. Can Sims inspire a comeback? Lennon delivers a deep cross from the right. Gudmundsson meets it at the far post with a sidefoot volley well saved by McCarthy, but Hendrick heads it back into the danger zone and the slightest touch from Barnes finds the net. Ashley Barnes gets up above Oriol Romeu and will be disappointed not to hit the target as he sends his header a couple of yards wide from a right-wing cross. A decent chance for Burnley, but it hasn't been taken. 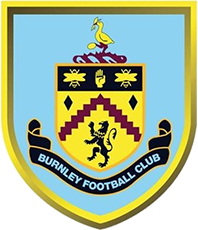 A rare Burnley attack sees a neat pass slid through the Saints defence for Jeff Hendrick, but Alex McCarthy is out quickly and dives at the midfielder's feet. Had to get the ball to avoid conceding a penalty, and did. Great goalkeeping! James Ward-Prowse delivers a corner from the right and it's a disguised cutback for Nathan Redmond on the edge of the box, but the Burnley defence react quickly and Redmond is quickly shut down as he shoots first time into a crowd of bodies. There has been a greater sense of urgency about Saints since the restart. Mauricio Pellegrino's men boasted 75 per cent of the possession in the opening five minutes of the second period. Not a first half to live long in the memory, but Saints' clean sheet is in tact. The visitors came closest to opening the scoring through Dušan Tadić, whose shot was cleared off the line by recovering defender Ben Mee. An important 45 minutes await! There will be at least one extra minute at the end of the first half, as Jack Stephens gets his head to a Gudmundsson free kick to flick it away. Saints clear a Burnley corner and quickly push up, catching Jeff Hendrick offside as the hosts send the ball back into the box. Alex McCarthy wasn't to know, and makes a smart save to deny the Irishman. Still very little action to report here, but Saints certainly have a foothold in the game. Can we find a goal? Matthew Lowton does very well to race to the byeline and produce a low cross laid off by Ashley Barnes to Lennon, who shoots first time but finds Oriol Romeu in the way. It's still goalless here. A first save of the day for Nick Pope, as Nathan Redmond shifts the ball on to his left foot and lets fly from 20 yards. It bounces awkwardly in front of the Burnley keeper, but his handling is up to the job. Mauricio Pellegrino anticipated a tight game and so far that's what he's got. 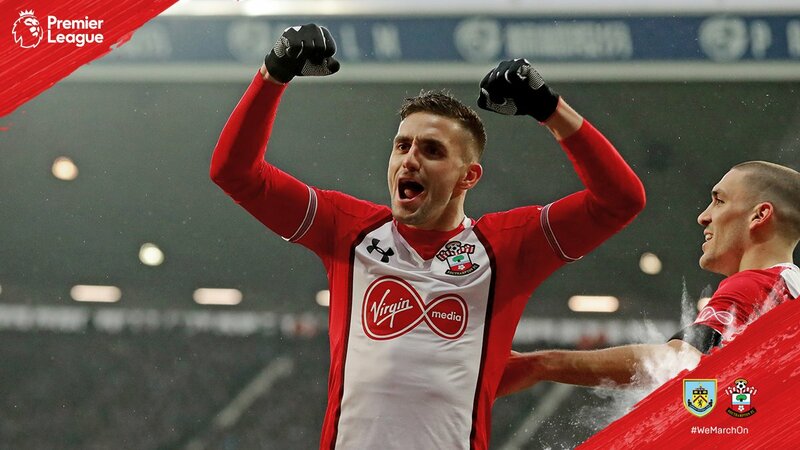 There have been very few chances so far, but Saints have enjoyed some encouraging spells of possession and created the best opportunity through Tadić. So close to a Saints opener! Nathan Redmond feeds Dušan Tadić, who hits a clever effort with the outside of his left foot that beats goalkeeper Nick Pope but not Ben Mee, who gets back to clear off the line. Aaron Lennon tries his luck on the volley from a dropping ball. He strikes it cleanly but it's straight at McCarthy, who saves easily. Not the most eventful start here. Stephen Ward finds space down the left and delivers a cross met by Jóhann Berg Gudmundsson, but the Icelandic international heads tamely wide. The Saints players have completed their pre-match preparations and we're ten minutes away from kick-off! we are full of confidence and we are on a good run. we know it will be a tough game because they are a quality team, very physical and strong. we need to play our game, this is the key, and defend well. Watch our interview with Dušan Tadić, who gives his verdict on what to expect at Turf Moor this afternoon. Back in the big time! It's a first Premier League start of 2018 for Nathan Redmond, who keeps his place after playing his part in victory at The Hawthorns. Mauricio Pellegrino makes just one alteration to his side following the Emirates FA Cup win at West Brom last time out, as Oriol Romeu returns to the midfield at the expense of Pierre-Emile Højbjerg. Starting XI: Pope, Lowton, Long, Mee, Ward, Lennon, Cork, Westwood, Hendrick, Gudmundsson, Barnes. Subs: Lindegaard, Bardsley, Taylor, Marney, N'Koudou, Wood, Vokes. Starting XI: McCarthy, Cédric, Stephens, Hoedt, Bertrand, Romeu, Lemina, Ward-Prowse, Tadić, Redmond, Carrillo. Subs: Forster, Bednarek, Pied, Højbjerg, Boufal, Sims, Gabbiadini. Who would you like to see lining up for Saints today? We'll have news of Mauricio Pellegrino's team selection at 2pm GMT. not many would have thought that southampton would have been in their current position at the start of the season. their immediate focus is the same as ours: to restore some form and win as many points as possible. The players had a change of scene this week, as Mauricio Pellegrino took training from St Mary's on Thursday. Watch the best bits from the session here. every single game now will be crucial for us. we have prepared with all of our focus on this game. burnley will be a really tight game, a difficult game. the home game was really close with not many chances, so we have been working on how to approach this type of challenge. We caught up with Mauricio Pellegrino at St Mary's, who gave his thoughts on Burnley and the key to securing victory at Turf Moor. After progressing to the quarter-finals of the Emirates FA Cup, Southampton return to Premier League action today with a trip to out-of-form Burnley, who are winless in their last ten league games. Can Saints take advantage and secure three vital points? Stay with us for all the build-up, team news, live match updates and free audio commentary. Kick-off is at 3pm GMT.